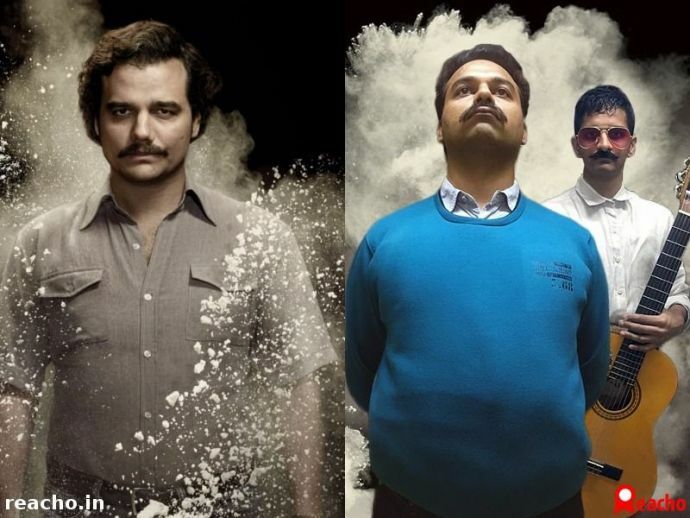 The Hindi Cover Of The 'Narcos' Theme Is All Things Dark And Intoxicating! "What would you like with your tea? Paratha, or Momo?" The opening theme for the Netflix series Narcos, 'Tuyo' is a hauntingly beautiful composition by artist Rodrigo Amarante. The narcocorrido (drug-ballad) sets the tone for the story of the rise and fall of Colombian druglord Pablo Escobar in the 1980s and 1990s. The widely popular tune has inspired many covers, and the latest addition to these is a cover in Hindi, by YouTuber Rohit Bharati. In this new video, Rohit is Bablu Escobar, who, along with Jayvir Pena (Mahesh Raghvan), jams to a Hindi rendition of 'Tuyo', 'Safed Barood'. While the lyrics are different from those of the original, they still fit perfectly with the premise of the show. Rohit's flawless impression of Pablo Escobar's frown and Mahesh's channeling Javier Pena with the coloured aviators also add to the charm!